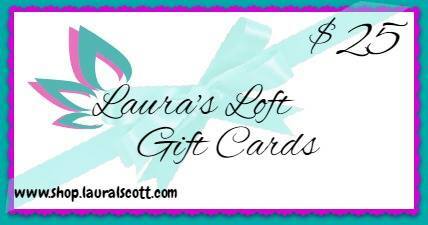 Welcome to the first Challenge issued by Laura's Loft. The design team and I are so excited to be sharing our projects with you today, and hope you play along. The rules are easy, take a look at the gameboard below. 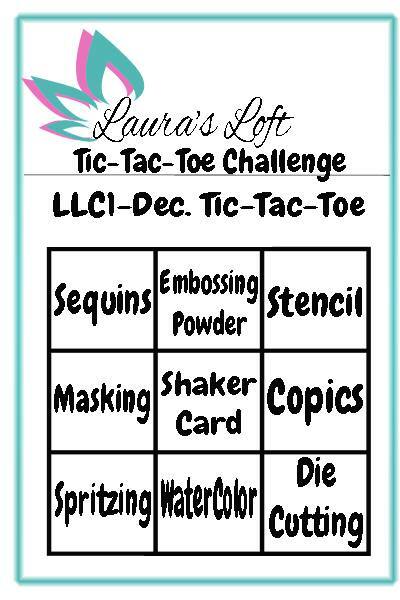 Find 3 elements either horizontal, vertical, or diagonal that will get your Tic Tac Toe. Put your project together and upload it to Laura's blog. For my project I decided to make and A2 sized card (surprise)! Working with Newton's Nook Holiday Smooches I went to work. First I stamped out the cute little images of the Seals, Penguins and Polar Bears with Momento Tuxedo Black ink. While they were drying I used my cuttlebug to die cut a stencil using a Spellbinders Cascade Dots die, which I then taped to my patterned paper and spritzed with metallic gold spray. I then went to work with my Zig Clean Color Real Brush Markers and colored all the little critters. 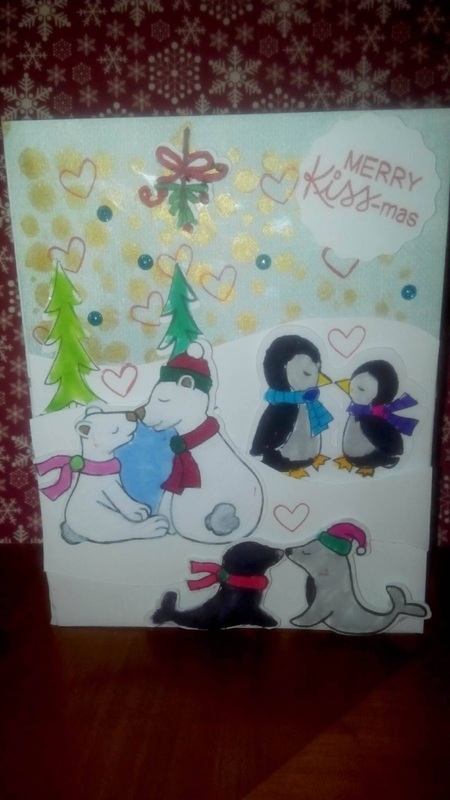 After finishing this and putting my card together using some foam tape to add dimension to some of the elements, and stamping the "Merry Kissmas" I realized with one more element I could have double Tic Tac Toe, so grabbing my alcohol markers (in this case Bic Mark-Its) I colored that little Mistletoe up at the top. I decided I needed some red and stamped out the little hearts that also were part of the Holiday Smooches set, and then added some Blue Enamel Dots to simulate snow. I hope you enjoy my creation, and can't wait to see what you bring to the table. Please go back to Laura's Loft for entry requirements for these great prizes.